Root Identity Principles. Don’t panic. Here are some principles of Root Identity, arising as a result of a recent Eurim meeting – Principles, quoted in full. Only the state needs an assured root identity (level 3). Therefore most people (but not all) have a root identity logged with a state. A Level 3 identity is only required for “beyond reasonable doubt” which is itself a subjective legal term, but the test required for criminal prosecutions. Even then it is not always needed as the test is to prove “beyond reasonable doubt” that a bit of wet carbon performed the action in question. So for murder etc the identity does not matter per se. For criminal fraud, identity theft, etc. it does. So for most things a Level 2 “balance of probabilities” identity is all that is required as a civil prosecution requires this test. Most Government and pretty much all private sector interactions only require a level 2 ID. This is normally a persona linked only during registration in some way to the root ID (e.g. passport for ‘know your customer’). Many interactions only require a Level 1 identity “User asserted” or a Level 2 identity with Level 1 attributes. Only the minimum level required should be used in transactions and relationships. There should be no way to link level 2 personas via a root identity. The only time this should ever occur is when a person asserts the link between two personas and shows they are both linked to the same root. E.g. showing a passport and credit card to exchange currency. This seems to clarify a number of points, certainly at the level of most interaction with local authority and voluntary sector agencies. Eurim has produced excellent evidence from overseas to feed into the the Individual Voter Registration (IVR) programme – to be introduced in 2014 under the Political Parties and Elections Act (2009). Two distinct trends are discernible in the responses from overseas, between those countries which treat the electoral register almost exclusively for electoral purposes (‘Commonwealth’ or ‘common law’ heritage) and those that create a multi-purpose population register, either at national or municipal level (‘continental’ heritage). Compulsory registration does not work unless underpinned by other processes: e.g. in Australia large numbers of voters may remain unregistered. All sampled common law and continental countries require proof of identity to register the voter; only the UK does not. Countries that operate data matching to maintain a population register, to transfer data with other public bodies, or that allow citizens to view or amend their personal data, do so through secured systems. The UK is a long way behind most countries. It’s as though we want to remain backward by rejecting perfectly reasonable solutions. We mistrust public sector stewardship of personal data. We don’t yet know the results of the data matching trials. Our experience with Contactpoint should demonstrate how difficult this must be. We don’t have agreement on how to issue credentials for eID. There’s a battle about whether a root identity is needed or not. Politicians have a morbid fear of a totalitarian government taking hold of registers and creating a single database of all citizens. The national Identity Card had a lot of opposition, not just No2ID. Politicians are the key to making progress – but leaving IVR up to over 400 separate voter registration authorities to select their own software doesn’t augur well for meeting the deadline of the 2015 General Election. The EU has tried to bring some order into the confused world of Identity Management, Electronic Identities (eIDs) in particular. In the UK’s insular way, there has been little reference to the detailed research completed last year on the State of the Electronic Identity Market. Again Toby Stevens pointed the way. Page 38 merely scratches the surface of the problem. No wonder that many mere mortals at Eurim meetings have problems in deciding what to include in a message for MPs. How many civil servants are aware of this detailed research and are each of the departmental identity silos including it in their policy and strategy documents? Who has the time to read and understand all the implications? The area is so complex, why doesn’t the UK Government set up a single, authoritative, font of knowledge about eID? That’s a reasonable amount of taxation going in the wrong direction. Even if it looks like Financial Services taking the hit, it is all of us – all the time. If these numbers are correct, then in true risk management style, it is worth spending a bit of money to minimise the amount of losses. Let’s work together to get an electronic identity that is difficult to clone and is trustable by both public services organisations and the public. Information Security: Developing federated identity management is critical to future efficiency. Trust between all departments, agencies and local authorities should be high on the agenda. The model that links authentication, credentials, authorisation and consent is incomplete. Isolated departmental strategies should be coordinated and leadership demonstrated to synchronise disparate initiatives. Information Assurance: SOCITM has a good route for assessing and promoting Information Assurance in local government. See . Privacy: has many pressure groups that will no doubt respond with their own reasons. Information Governance standards could be, and should be, developed by the Government CIO. Then there will be a baseline for quality assurance at all operational levels of public service. That’s quite a mouthful for two sentences. Is it different from the Care Quality Commission (CQC) draft? Why are we doing it and what are the constraints? What do we expect the benefits to be and how do we measure them? Who has to do what and who are the beneficiaries? 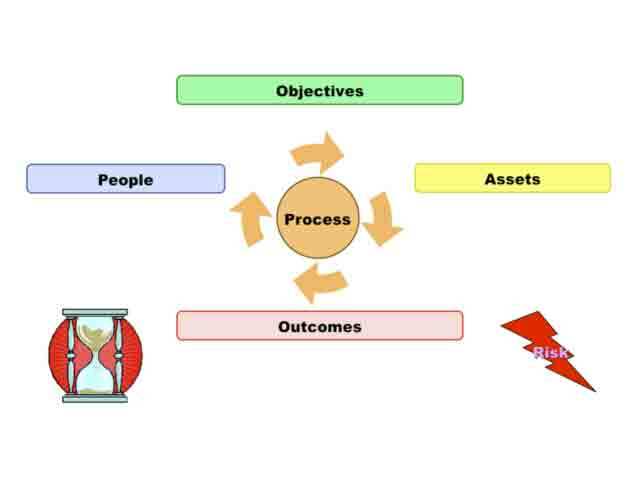 What are the information assets we have, and are we controlling them? What is the entire process from inception, validation, storage and deletion? What are the main risks and what are the plans for reducing them? When should things happen, and is our level of maturity sufficient? The questions themselves are not as important as structuring an approach that clarifies, rather than complicates, the issues. It is quality assurance of Information Governance that matters, not the precision of the definitions. 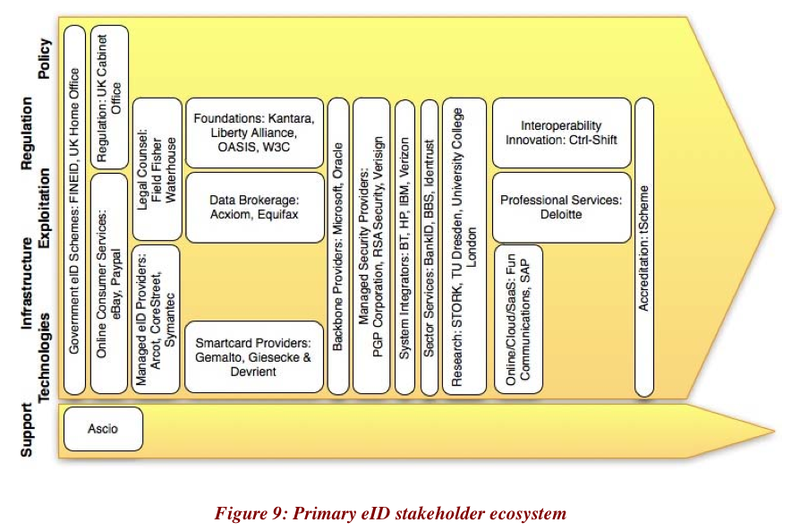 Expect more quarks about each of the Seven Dimensions of Information Governance (7DIG). PS: The choice of seven dimensions was not an accident, see “The Magical Number Seven, Plus or Minus Two” propounded by Miller. PPS: For those who prefer diagrams, here is the 7DIG Framework, including some of the expanded levels. The launch of “Security by Design, not Security by Afterthought” was educational for me. One of the speakers gave an example where security by afterthought delayed a project by 12 months and doubled the cost. It wasn’t just the pre-prepared speeches, it was the surrounding chatter – which had better remain anonymous. CLAS consultants themselves recognise the problem of differing opinions. There may be need for specialists. All PCs incorporate a hardware security chip to be certified by Wintel. It’s just that nobody seems to activate it. A open door for conspiracy theorists. Cyber warfare isn’t the sole prerogative of the baddies. Obviously deniable. consumer surveys indicate that nearly half the public now depends on their broadband connection, more expect to be victims of online crime than of theft from their home or car. offer informed choice between “cheap and cheerful” and “secure and reliable” products and services. in the absence of shared identity management systems, the need to authenticate each and every time for each of the thousands of services, leads rapidly to a complexity that is antithetical to the intended good practice of access control and authentication. This has been one of the compelling reasons for federated identity systems. Eurim recognises that MPs are short of time, and the one-pager stress top-down leadership, common terminology and “Policies must be linked to processes for turning principles into practice”. The MPs present certainly appreciate this approach to spreading technical information this way. There was lots of food for thought, and I departed resolving to promote the messages through the SOCITM network. This should bring in other organisations, such as local government, the voluntary sector, fire and rescue, who also need to understand the importance of design and procurement with security as a primary requirement.